Clicking the button 'Send Reminder' resends the original notification message to all recipients in the workflow who haven't completed their assigned workflow task. Navigate to Workflow tab and click on a running workflow process (in Workflow Navigator) you wish to send a reminder for one of its workflow tasks. 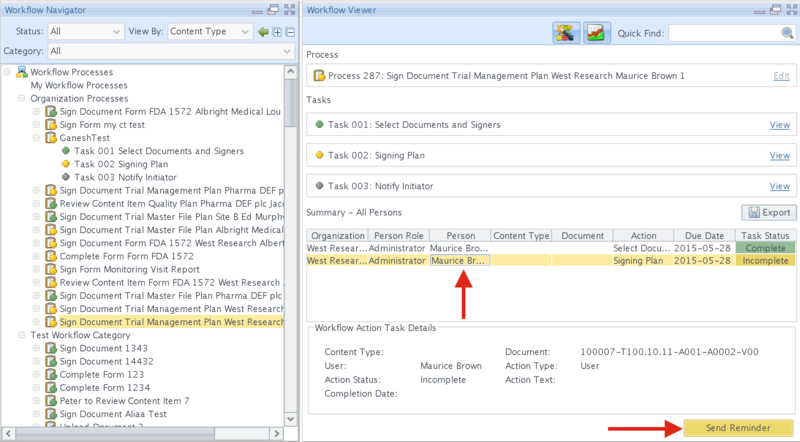 Click the Send Reminder button for any recipient in the Summary window of the Workflow Viewer.